Clopidogrel is an antiplatelet agent of thienopyridine, which is primarily used to prevent the blood clots and help against cardiovascular problems associated with the blood clotting. The medications for inhibiting blood clots after a recent heart stroke also use clopidogrel, which is a white colored powder that is insoluble in water at neutral pH but freely soluble at pH1. Clopidogrel was the second most successful drug trailing behind Pfizer’s Lipito in 2010. Sold under the brand name Plavix, and marketed by Sanofi and Bristol-Myers Squibb, the demand for clopidogrel is escalating due to the increasing number of heart attack cases across the globe. The patent of clopidogrel manufacturing got expires on Market 31, 2012 and is expected to prompt pharmaceutical companies to venture into clopidogrel drug manufacturing. Moreover, companies such as Dr. Reddy’s have acquired the approval to manufacture clopidogrel 300mg. Furthermore, several other organizations such as Roxane Laboratories, Aurobindo Pharma, Sun Pharma, Torrent Pharmaceuticals, and Apotex Crop have gained approval for marketing clopidogrel 75mg. Clopidogrel is also used with aspirin to treat worsening chest pain and to keep blood vessels open and present blood clots after certain heart related operations. The primary factor for the increased demand for clopidogrel is the mounting population across the world who are suffering from cardiovascular diseases and related problems. Additionally, the changing lifestyle and increase in number of patients related with cardiovascular diseases among the emerging economies in the Asia Pacific region are also expected to be the major consumers for clopidogrel in the next six years. Moreover, the patent expiry of clopidogrel drug is anticipated to open floodgates for various pharmaceutical companies to venture into production of clopidogrel drug. According to the World Heart Federation, nearly 15 million people suffer from heart attack or related problems globally. Out of these, roughly six million of these patients die while another five million are disabled permanently. This vast patient base is the primary factor that will sustain the demand during the forecast period. Currently, North America and Europe contribute to the maximum demand for clopidogrel, owing to factors such as robust healthcare infrastructure and high affordability of the residents in this region. However, several countries in the region of Asia Pacific, such as China, India, and Japan are aggressively working towards improving their healthcare sector with the help of favorable policies by the localized governments and increasing disposable income among the urban population. Asia Pacific is home for nearly half of the world’s population, which makes for a high quantity of patient base. Additionally, these regions also have skilled labor at low cost which is encouraging players in the market to invest actively and tap the unmet demand. 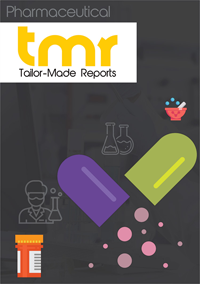 Some of the key players in the global clopidogrel market are Pfizer, Dr Reddy’s, Apotex Corp, Roxane Laboratories, Aurobindo Pharma, Torrent Pharmaceuticals and Sun Pharma.